Beautiful and unique ceramic coasters, the perfect accessory for any home or garden. 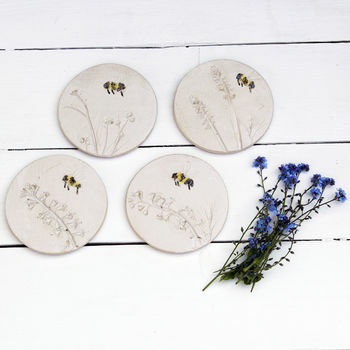 Very tactile coasters that make a lovely wedding, birthday, new home or Mother's Day gift. The flowers used to make the impressions have been found in the Hampshire countryside including hydrangeas, dandilions, honeysuckle and a variety of grasses to name a few. 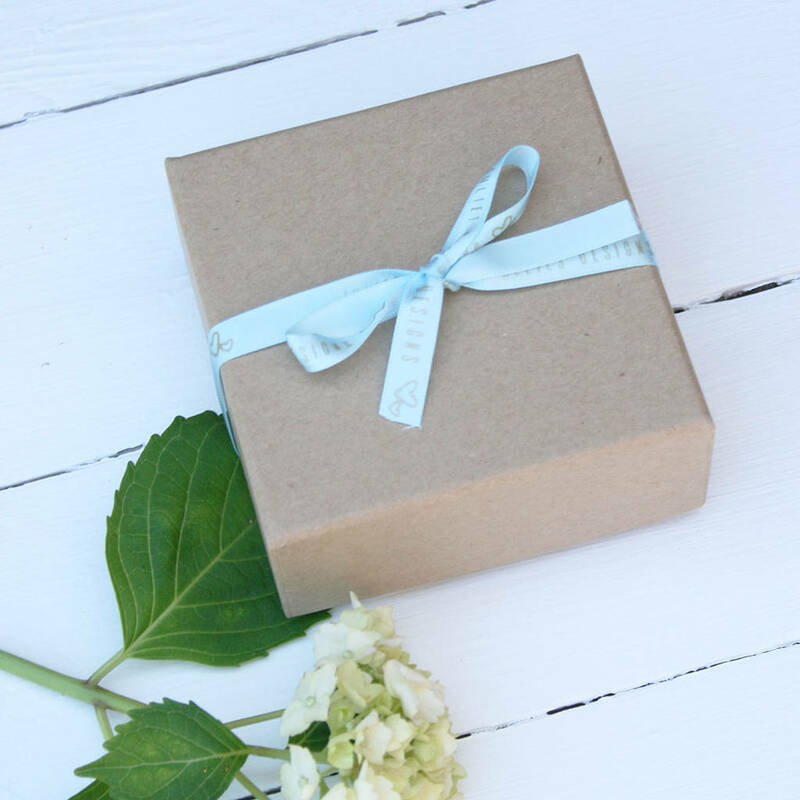 The coasters will have foam feet to protect your work surfaces and will come wrapped in a matching ribbon. 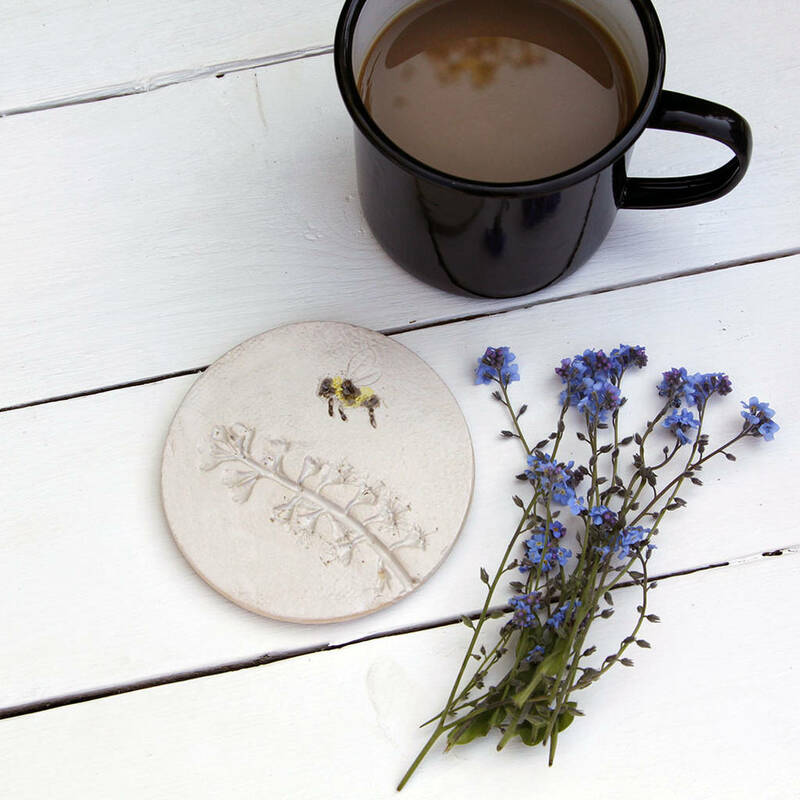 Each coaster is handmade and hand painted and is therefore totally unique. These can be purchased individually or as a set of four.